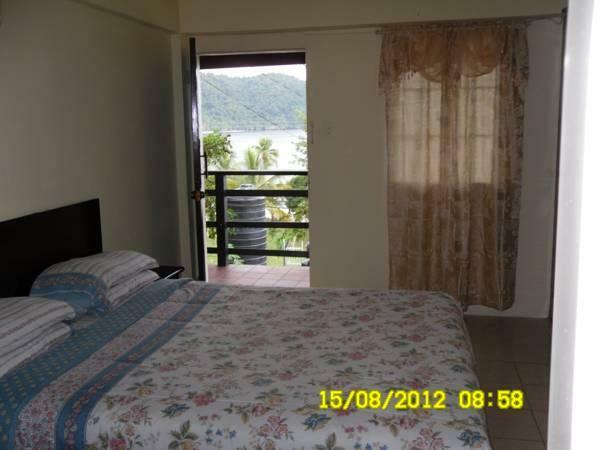 ﻿ Best Price on Las Cuevas Beach Lodge in Las Cuevas + Reviews! Located on the beachfront of Las Cuevas Beach, this small eco-hotel is surrounded by lush tropical vegetation, offering panoramic views of the Caribbean Sea and the Northern Range Mountains. The rooms at Las Cuevas Beach Lodge include air conditioning and satellite TV, as well as a private bathroom with hot and cold bath or shower. Some of the rooms also have hairdryer, fridge and microwave. Las Cuevas Beach Lodge is set on the grounds where leatherback turtles hatch their eggs, and guests can watch this phenomenon from February to August. The hotel also provides activities like fishing, diving or hiking. Airport shuttle is offered for an extra cost. Free Wi-Fi for simple text-based tasks is available, while unlimited access can be purchased for an extra fee. The on-site restaurant serves fresh, daily caught sea food and specializes in lobster. It also serves meats and Trinidadian cuisine.